Few of us have been intentionally discipled in the area of prayer; fewer still equipped to disciple others in the same. 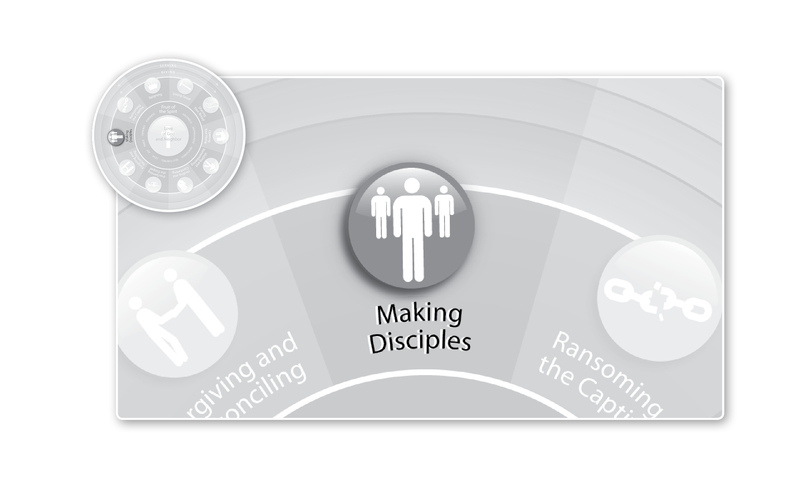 That’s why today, I’d like to do a little discipleship-via-blog so that you may go on to disciple others in this area. We’ll use a process called guided prayers. The goal of guided prayers is this: for a more mature Christian to be able to teach a less mature Christian how to pray. By showing them how to collect and form their spontaneous thoughts into prayer that’s comprehensive. Adult: What happened today that made you happy? Child: We had fun playing outside this afternoon. In the course of this brief activity see how the child has been introduced to thanksgiving, petition, confession, and intercession. Over time children will learn to form their own short prayers, with the adult asking only the leading questions, followed perhaps by. Regrettably, the only time most Evangelical Christians experience this kind of guided discipleship in prayer is at the very inception of their faith when they are led to repeat “the Sinner’s Prayer” phrase by phrase. For all the problems we’ve covered on this blog about using that kind of an approach to evangelism, one of the good things about it is the way it models for the new Christian something of how to pray. Sadly, however, it is likely the last guided prayer that most new Christians will have the benefit of praying. In so doing, he poured out a little bit more of his relationship with the Father into his disciples, and that has been poured faithfully and carefully through every generation in Christian history right on up to you. So, steward it well. Don’t spill it! Use the Lord’s Prayer and guided processes of prayer to teach others how to pray. When you do, you will be faithfully carrying out part of the Great Commission of teaching those whom the Lord gives to you everything he commanded you. How often have you prayed, or trained others in praying, using guided prayers? What were the results? This entry was posted in Uncategorized and tagged Christianity, Comprehensive Maturity, Discipleship, Guided Prayer, Jesus, Making Disciples, Prayer. Bookmark the permalink.